Are you or afraid of going to the dentist? Does your past dental experience leave you anxious or fearful about undergoing dental procedures? Do you wish you can relax at the dental office? 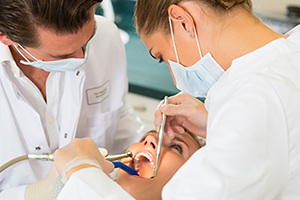 Sedation Dentisty is a great option to help you cope with many of the reasons you may avoid going to the dentist. Our team at Solaris Dentistry is ready to listen to your concerns and put you at ease, improve your oral health, and give you the beautiful smile that your deserve. At Solaris Dentistry, you will be treated with kind respect and assurance you deserve, and your dental needs will be cared for by our doctor and staff just like you are family. We make no judgement no matter how long you have been putting off going to the dentist! When you are sedated you will be in a deeply relaxed state of mind and unaware of the surroundings or details of the treatment. Our trained staff is always by your side. You will be able to safely respond to us during the procedure, but you will have virtually little memory of your visit when you leave. It is that simple. With sedation dentistry, your visit is as easy as taking a nap! Oral sedation is the use of sedative drugs and can be used for any dental procedure. Dr. Bianca McWilliams and her trained staff at our office provide comprehensive dental treatment in a safe, controlled and relaxed environment. Most commonly, oral sedation is prescribed for relieving anxiety in the evening prior to and the hours immediately before a dental appointment. You will be given an anti-anxiety pill in the night before the appointment to help you get a good night sleep. You will then take another sedative medication upon arriving at the office before your treatment. Nitrous oxide, or laughing gas, a mild sedative can be used during your dental visit. Nitrous is administered with a mixture of oxygen and has a calming effect and relaxes patients during treatment. Patients will remain conscious and responsive to the dentist during treatment. Once the nitrous gas is turned off, oxygen is then administered for about five to 10 minutes. Any effects of nitrous will wear off in minutes, with virtually no side effects. At Solaris Dentistry, patient comfort is our priority. We take time to put you at ease and we listen to your needs. We explain all available treatment options to you and in terms you can understand. Whether you are ready to start the journey back to optimal dental health or fix up your smile, we are here to help! Call Solaris Dentistry in Chandler, AZ at (480) 802-6617 to learn more about sedation dentistry!